The SEDONA 5X8 Machine-Woven Rug by Oriental Weavers at Miskelly Furniture in the Jackson, Pearl, Madison, Ridgeland, Flowood Mississippi area. Product availability may vary. Contact us for the most current availability on this product. Inspired by the energetic hues of earth's natural color palette, the Sedona collection features heavily saturated shades of deep midnight tea, rich saffron gold and bright carnelian red in globally influenced designs. Constructed from a space-dyed polypropylene/nylon blend, the collection is as durable as it is fashion-forward and strikingly beautiful. 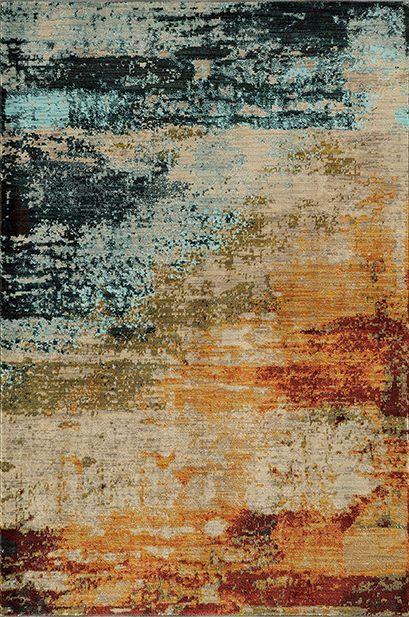 The SEDONA collection is a great option if you are looking for Rugs in the Jackson, Pearl, Madison, Ridgeland, Flowood Mississippi area.